An infusion of federal dollars will help dozens of residents returning to Rock County communities after serving time in prison or jail. Officials hope the services offered, starting in October, will reduce crime and improve the lives of people who need mental-health or drug-abuse treatment, among other services. Rock Valley Community Programs plans to hire five people to provide the mental health, drug abuse and other services through its clinic on Janesville’s south side, said Angel Eggers, the agency’s executive director. The Substance Abuse and Mental Health Services Administration awarded the grant of $2.11 million, to be spread over five years. Eggers said there’s definitely a need, especially in light of the opioid/heroin crisis. “This is really a positive program grant to bring to Rock County, where we are always lacking resources, like all the other communities. We’re really excited about it,” Eggers said. 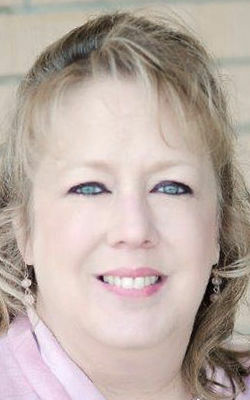 The Rock County Jail, state Department of Corrections and Rock County Human Services Department will be represented on a committee that will oversee the work and troubleshoot problems, Eggers said. Those agencies did not return calls seeking comment Friday. Rock Valley will provide the outpatient services from its Compass Behavioral Health Clinic at 1820 Center Ave., the former Ben Franklin store. “It’s huge,” Eggers said of the grant, which will represent about 28 percent of the clinic’s budget. The new employees will be a case manager, a project manager who also will provide direct services, probably two therapists, and an evaluator, who will track clients after they complete the program, to see how effective it was and to manage compliance paperwork, Eggers said. The case manager will help clients find jobs and housing and match them to treatment they might need, including mental-health or drug-abuse counseling, she said. The program is called Project TREAT—Transitional Recovery Services to Empower, Assist and Transcend. It will serve a minimum of 50 people per year, Eggers said. The workers will go to the jail and possibly state prison to assess potential clients four months before release, she said. The program will provide Suboxone or Vivitrol when needed. The two drugs are used to treat opioid addiction. Clients will be in the program for four months to a year, depending on their needs, Eggers said. Some clients will get counseling or other treatment as provided by their probation or extended-supervision sentences, but others will have completed their sentences, Eggers said. Current clinic staff will augment services supplied by the new employees, she said. Treatment of addicts could be especially beneficial to the community, not only by reducing drug-related crime but also overdoses and emergency-room visits, Eggers said. She said she applied for the grant 15 times before it was approved. The new program will replace, at least in part, a longtime program that was lost when its grant was not renewed several years ago, she said.